Ladies 2 days event on the South Esk. Finavon is the right distance from the tide and has the deep holding pools to encourage salmon to pause in their migration upstream. The variety of pools and streams, combined with outstanding holding give anglers opportunities to catch salmon or sea trout in most conditions. The beat offers 2.8 miles of double bank fishing, 24 named pools and a heated hut with parking on each beat. Five year average 114 salmon/grilse and 106 sea trout. Only 4 places are available. The cost is £75 per day and priority will be given to ladies booking 2 days. Please contact anne@fishpal.com to book a place. Accommodation: Finavon Hotel – Single £65 & Twin £75 Bed & Breakfast. Extract from Finavon Castle Fishing by Tony Andrews. Tony owns the beat and is also the CEO of the Atlantic Salmon Trust. Finavon Castle Water lies beneath the ancient vitrified fort of Finavon Hill. When I am fishing alone on Castle Beat I often think of the generations of people who have fished the river over the centuries. For the stone-age tribe that lived on the Hill above (see photo) the river must have been a source of valuable protein throughout the year. In the millennium before Christ the river banks at Finavon would have been well forested and the woods full of deer, wild boar and wolves. The area was extremely marshy, and braided channels, some blocked with huge fallen trees and accumulated debris, would have been a very different proposition for fishermen than the river of today. In those times the people would have made fish traps and used nets or spears to capture salmon and sea trout. When fishing Finavon’s pools I often feel the presence of those people from the Hill. Today, Finavon is just as alluring for people who want to get away from the stress and demands of modern life as it was for the people who lived here two thousand years ago. Anyone experiencing a week fishing the twenty five pools of Finavon Castle Water will have the opportunity to relax in a secluded rural setting, with the prospect of an encounter with salmon and sea trout. People who fish the South Esk tend to return again and again. There is an intimate quality to this medium size river, with its well treed banks, crystal clear riffles and deep pools, which encourages loyalty. Some of our regular visitors have fished here for more than twenty years. They come back because of the setting and the privacy, but also because the South Esk is a river of genuine quality. Sometimes the fishing can be very good, but whether you are lucky to hit a ‘purple patch’ or not, it is more than likely that you will see plenty of salmon and sea trout showing in the pools. 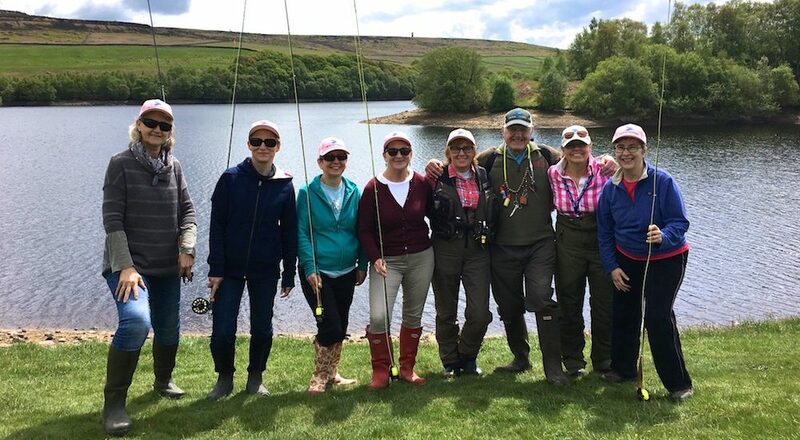 Whether you are an experienced salmon or trout fisherman I hope you decide to come to Finavon because I can assure you a great welcome and an experience you will savour for many years.